Maharana Amar Singh I was the eldest son and successor of Maharana Pratap. 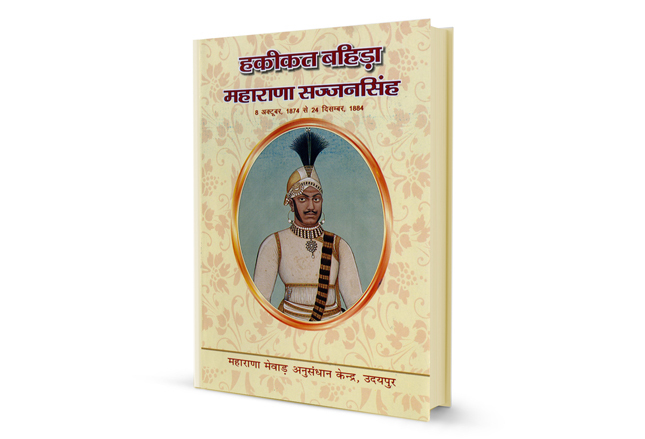 He was the 13th Ruler of Mewar dynasty of Sisodiya Rajputs. Maharana Pratap, on his death bed, made his successor swear to him in front of his chiefs to maintain their fight against the Mughals and to re-conquer Chittor. From his childhood to the days of Pratap’s death, Amar had been a constant companion in his valiant father’s toils and troubles. He proved to be a great warrior in the battle of Dewair, wherein, Amar Singh killed the Mughal commander in charge, Sultan Khan. 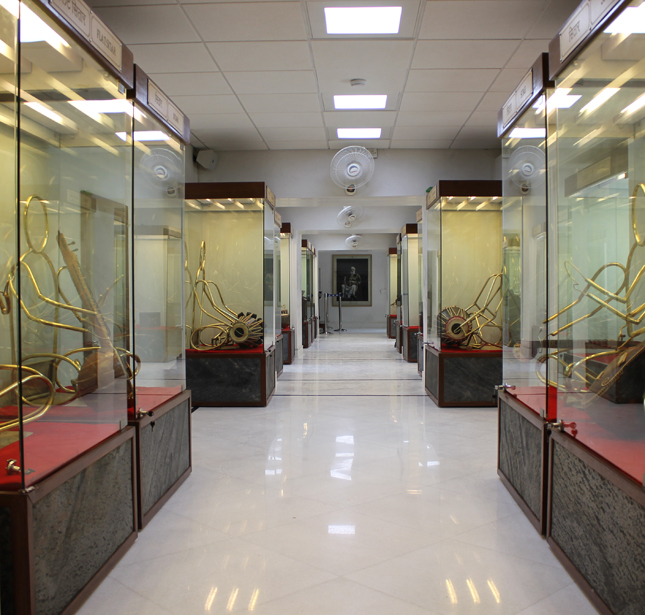 It is believed that he thrust his spear with such force that the weapon struck in the ground after piercing the strong coat of mail and the horse of Sultan Khan. Mewar was victorious and Pratap was able to claim back much of the lost territories of Mewar, but not Chittor. 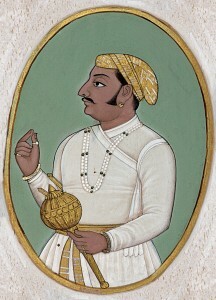 Amar Singh, a dutiful son fought many battles with the Mughals during his lifetime, both against Akbar and Jahangir to fulfil his father’s last wish. 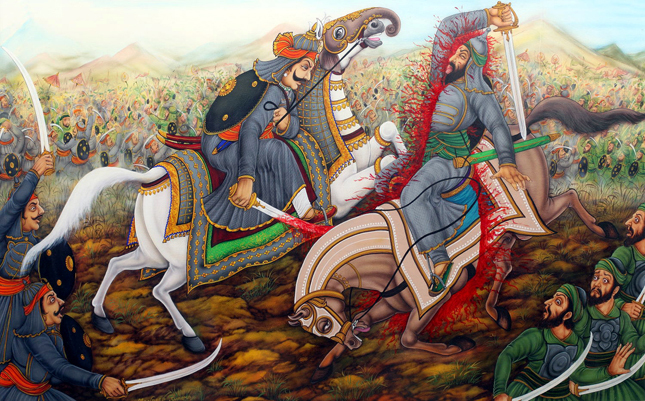 Maharana Amar Singh unfortunately reached a breaking point after the attack lead by Shah Jahan which caused much damage to life and property of Mewar. Temples were destroyed, several villages put on fire and ladies and children were captured and tortured to make Amar Singh surrender. In pure interest of his people and Mewar, he made a diplomatic move. The treaty between Amar Singh and Jahangir stands on a different plain as against any other treaty between a Mughal Ruler and a Rajput Chief of Rajasthan. Whereas other Rajput rulers were required to attend the Imperial Darbar in person, the Rana was exempted from such a duty. The territories around Chittor along with the Chittorgarh Fort were given back to Mewar in 1616 by Jehangir, as a goodwill gesture. The treaty of 1615 A.D. terminated almost a century-old struggle between two legendary ruling houses. Yes we understand that Rana Amar singh went through a lot but his surrender to Mughals was not right ,it was breaking of promise made by him to his father Maharana Pratap. 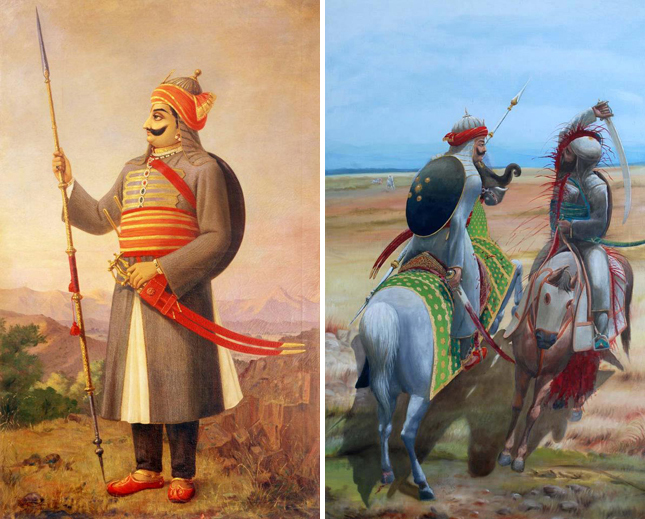 Maharana Pratap also struggled during his fight against mughals, in his time also there was burning of villages, torchering of its citizens to make maharana surrender but he continued to fight. If Rana Amar singh became a right hand of his father , fought many wars with him, became his strength, then why dint son of Amar Sing continued to did so? Maharana Pratap also fought with Akbar and Jhangir and Rana Amar Singh fought with Akbar, Jhangir and Shah Jhan then why dint Rana Amar Singh son also fought with his father? It was a battle passed down to generation like Jhangir helped Akbar and Shah Jhan helped Jhangir so why dint Rana Amar Singh son also helped him?? In my point of view Rana Amar singh should have continued the struggle in order to maintain the prestige of his ancestors and moreover because he made a promise to his dying father, even though he might not have win chittorgarh back from mughals but would have kept his words. It was either he who was not as strong as his father or it was his son and other family members who was not too supportive in full filling the promise made by rana. Thank you for your interest in this piece of history. Rana Amar Singh tried putting an end to the 70 years long prolonged warfare which was not only depleting Mewar forces and treasury but also the peace of the state. His decision is believed to be in the interest of the state. After all, that is what any Maharana would stand upto. Stay connected! Freedom is mine. And I shall have it.